Useful Links to Pet Websites. in return we would ask you to reciprocate and put this website link onto your site. 4 Berth Bessacar Luxury Motor Home for hire at very reasonable rates. Based in the Heart of the Lake District. 1 http://lakelandbirdkeepers.co.uk the biggest bird-keeping website on the internet, covers everything to do with keeping and breeding birds + Adverts For Sale & Wanted, Swap Shop, Hand-reared baby Birds + FREE Advice Line. The Site supports a newly formed but rapidly growing 'On-line' Bird Club - New Members very welcome!! 2 www.dogfriendlybritain.co.uk covers everything to do with dogs inc Dog friendly Accom, pubs, grooming etc. 4 www.lakelandbirdkeepers.co.uk a brilliant bird-keepers website and 'On-line' Bird Club based in the Lake District but with members from the top end of Scotland down into the very bottom of England. 6 Horses For Sale on Horses-Now - Horses for sale and useful horse news and information site. Primarily UK based with UK horses and horseboxes for sale. Got horse news? Send it to us..
Best Value on Chicken Jerky. Dog Jerky makes compelling dog training treats. 14 http://www.ukparrots.com/ UKParrots : A site for parrot lovers containing a wealth of articles. Breeders of Ornamental Pheasants in Scotland. Truly beautiful aviary birds. Delivery throughout the UK can be arranged. No bark collars at No Bark Collars 4 Less. We carry a huge selection of no bark systems to meet your specific needs. Low prices plus free shipping on most no bark dog collars. A safe, effective training aids that help you to control your dog's unwanted barking behaviour. Most secured, safe and effective pet containment systems by Petsafe, full selection available at PetStreetMall. 33 Wild Parrots Up Close - Watching Parrots in their Natural Habitats - Holidays to watch Parrots as well as other birds and wildlife with lots of time to photograph, video or just observe these magnificent sights. Fitness Trainer and Fitness Classes Hand reared African Grey Parrots for sale from a reputable and trusted breeder. 38 & 39 Consider Your Pet offers care advice on your small pets, including rabbits, guinea pigs, ferrets, gerbils and hamsters. Everything from feeding and housing, to companionship, mental stimulation and more. There are lots of useful links to help you find online pet stores, pet insurance companies, rescue centres and stockists of recommended pet care books. You can also read advice on how to build your own rabbit hutch, gerbilarium or ferret court. Come and visit the Consider Your Pet website today and find lots of ideas on how to make your pets happier and healthier. Email: info@cockapoo-owners-club.org.uk The Cockapoo Owners Club is an impartial club providing useful information on finding a responsible breeder, training, health and caring for you Cockapoo or Poodle cross. We welcome exisiting owners and prospective owners who are searching for their perfect puppy. Escape to your very own Holiday Home at Patrington Haven Caravan Park. Set in 40 acres of landscaped grounds you are surrounded by beautiful countryside yet near to Award winning beaches and exciting local attractions. Do It Yourself Dog Bath! Ideal for travel, easy to erect and empty. A collapsible polyester dog bath, with collar to secure dog while bathing. 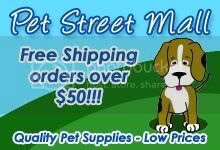 Pet pet Supplies for all your pet’s every product need and accessory requirements, for grooming and toys or pet food and pet health.